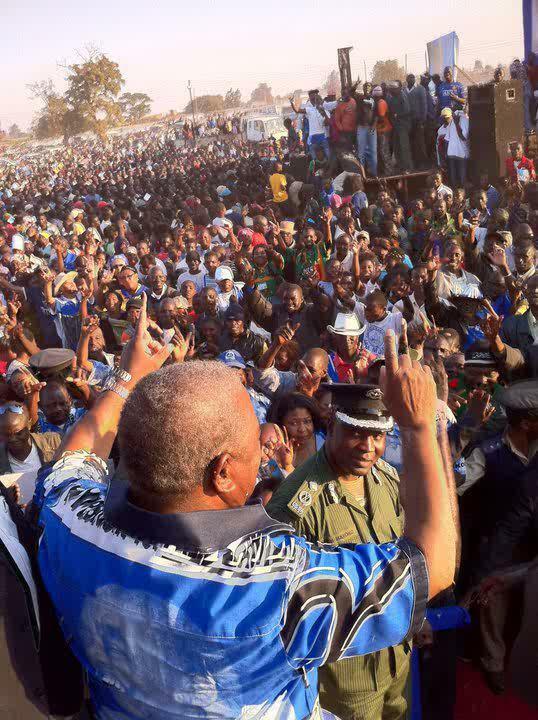 United Liberal Party (ULP) vice president Charity Katilungu has predicted a landslide victory for Republican President Rupiah Banda in this year’s elections. Mrs. Katilungu who was speaking to QFM radio said President Banda has proved to the Zambian people that he is capable of guiding the country to economic prosperity. She said Zambians should not risk voting for any opposition political party in order for the country to continue recording economic gains. The ULP vice president also disclosed that her party has embarked on carrying out voter education exercise to ensure that Zambians vote wisely in the forthcoming elections. And in welcoming former UPND deputy national chairlady Grace Mulenga, Mrs. Katilungu said the ULP is rallying behind president Banda in this year’s polls. And former UPND chairlady Grace Mulenga said she has joined the ULP because she wants to appreciate the achievements of the MMD government in the last three years. Mrs. Mulenga said it is pointless to oppose the leadership that has delivered positive economic developments to the Zambians.